Steve is a data scientist at RBS. He studied material science and engineering at the University of Manchester. 1. Tell us about your route in RBS? So I went down the traditional route for most large corporates and got a grad position through successfully completing the 10 week summer analyst scheme. You would normally do this the summer before your final year and the plan is to have a job secured as soon as you start uni again. My summer program was in an area that looked at cyber security and risk within the bank. I thoroughly enjoyed that placement, as it had a great mix of financial modelling and engaging with people in and out of the bank. Also the internship was a lot of fun, you have another 200 kids in the same boat as you, and mostly all of them will move on to the graduate scheme after. So you make some good friends while you’re on it. After finishing my degree, the grad program started a year later. It lasts 2 years and comprises of three 8 month rotations across Technology. My first role was in Fraud Analytics, then went to Private Banking Data & Analytics, now I’m in Data Science as a Junior Scientist for my final placement. I will hopefully be moving into a more senior scientist role in the next few months or soSo I went down the traditional route for most large corporates and got a grad position through successfully completing the 10 week summer analyst scheme. You would normally do this the summer before your final year and the plan is to have a job secured as soon as you start uni again. My 10 week program was in an area that looked at security and risk within the bank. Thoroughly enjoyed that placement, as it had a great mix of doing a lot of financial modelling and engaging with people in and out of the bank. Also the internship was a lot of fun, you have another 200 kids in the same boat as you and 85% of them will move on to graduate scheme after so you make some good friends while you’re on it. Then after finishing my degree, the grad program started a year later. It lasts 2 years and comprises of three 8 month rotations across Technology. My first was Fraud Analytics, then went to Private Banking Data & Analytics, now I’m in Data Science as Junior Scientist for my final placement, which I will be moving into as more senior scientist in the next year or so. 2. ‎Why did you choose to RBS over others banks? Like anyone applying when you’re still at university I didn’t really have a clue how banks differentiated themselves from one another, and it was hard to get a real unbiased view of which company to join. But having attended some of the campus events I knew RBS and one other bank were my top choices. This was due to the career progression that was available and both of these banks demonstrated a proven focus on people. I had also done a lot of research and spent time with my university careers department, to see what role was the right fit or thereabouts. When applying my strategy was to stick with the same kind of role and business area in order for my cover letters and CVs to be consistent, as well as making the preparation for later stages, like assessment centres and interviews, as efficient as possible. RBS was one of about 4/5 similar banks I had applied to. The assessment day was easily the most relaxed one I’ve ever done. I didn’t feel as if it was a battle royale with the other people that were part of my group. I think this mentality was instilled in all of us taking part on that day. I did feel as if I was being judged on how good I am with respect to people already in the organisation, rather than how good I am in comparison to the other prospective interns, which gives you a lot of confidence to really push on when you get an offer. So naturally after accepting the offer and getting on the scheme through the internship, it was a no brainer to stay on and grow my network and skills in the same placeLike anyone applying when you’re still at university I didn’t really have a clue how banks differentiated themselves from one another because the information simply just wasn’t available so it was hard to get a real unbiased view of which institution to join. But having attended some of the campus events I had attended I knew RBS and one other bank were my top choices due to the career progression that was available and proven and the big focus on people. When applying my strategy was to stick with applying for the same kind of role in the same kind of business area in order for my cover letters and CVs were consistent and preparation for later stages was as efficient as possible. Now I had done a lot of research and spent a lot of time with my university careers department to see what was the right fit or thereabouts. RBS was one of about 4/5 similar banks I had applied to. The assessment day was easily the most relaxed one I’ve ever done and I didn’t feel as if it was a battle royale with the other people that were part of my group. I think this mentality was instilled in all of us taking part on that day, I did feel as if I was being judged on how good I am with respect to people already in the organisation, rather than how good I am in comparison to the other prospective interns. So naturally after accepting the offer and getting on the scheme through the internship, it was no brainer to stay on and grow my network and skills in the same place. Well, I know people hate this cliche but every day is really different. The thing is, in data science, we essentially aim to predict the future and tell a story with that message, to drive valuable insight that meets or surpasses business objectives. So its a process that involves a lot of people and you depend on several other teams to prepare what you’re going to work on. Namely; Data Engineers, who clean up code and make your data workable. Data Analysts, to work on telling you the full story with the data. Then Business analysts, to tell you how these stories are related to the aims of the business etc. At RBS, data science is largely academic and experimental so we have an innovative way of working that’s based on continuous delivery on multiple work streams, rather than silo’ed projects. However typically: 8:30 – 10:00 – Start the day, emails, work on your code (mostly in python). 10:00 – 12:30 – Meetings within the data science team, so this would include what projects we’re working on, what projects we’re going to take on and if anyone else needs help. More programming for your project(s). 13:30 – 18:00 – Engage with the business in more meetings. So this would include collaborating with them to achieve the goal of the project. The whole field of analytics can be quite esoteric, so those who sit outside analytics or anything quantitative, tend to back off when they hear jargon or technical language, and there’s lots of it, i.e; Machine Learning, AI, Model Explainability, Python, you get the idea. Its 2019, so its absolutely imperative that businesses need to get up to speed with all these terms to stay inline with emerging competition. Consequently there is a need to explain to people who aren’t as technical what is actually going on in a way they can understand. Similarly a lot of people in analytics need to get up to speed with financial/business terms and jargon. So we’re constantly learning and working with each other. 4. ‎ What aspects have you found most interesting/enjoyable about your grad job? 1) The people. In my time here, I have had 4 different managers for 4 placements/rotations at the organisation. Every single one of them has had a vested interest in my development, that went over and beyond my expectations and their own managerial objectives. I got regular coaching on technical and soft skills that would normally go amiss in other areas of professional or financial services. I’m still in contact with all my old managers today, and the same is the case with many other graduates. 2) RBS is big on personal development. The main aim for new grads is to be in management roles quite quickly. You get experience and taught on how to coach people (in various disciplines), how to deal with various kinds of people in the business, how to present and pitch and how to work in different ways to what you know. Best part about it is that, it’s all for free, and external training is normally (much more often than not) paid for, so long as you can prove its relevant. 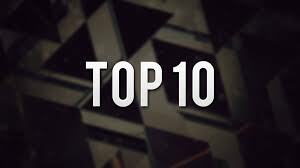 5.‎ What’s your top piece of advice for prospective applicants? Read.Read.Read. The more you know the better, learning programming is the easy part, but you need a level of commercial awareness that you can’t necessarily teach. As well as a level of abstract and creative thinking to solve really complex business problems. Most data scientists have been taught to masters and PhD level, so they have this locked down as soon as they get the job. Get the Bloomberg/FT/Economist apps, follow ComAware on twitter and facebook and get yourself up to a point of literacy that when you’re posed with a difficult question you can draw upon things people wouldn’t even have thought about (which makes you stand out). The worst thing in a meeting is to assume and make guesses (no matter how educated you think it is). Data is all about facts and the more you know, the better it will prepare you. 6. How do you think banking will change over the next 5 years? So impractical for obvious reasons but I suppose there could be a way of keeping it as a pet. In the least silly way possible, probably in a massive stable with horses and stuff so it has mates and can walk around in a sizeable bit of land..